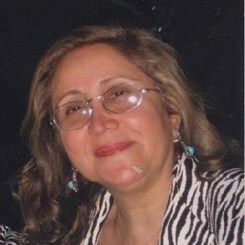 Shohreh J. Ghajar is an acclaimed artist and musician. She has performed and instructed for over 45 years. She has taught music on three continents and has put great efforts educating and inspiring young children for over four decades. Ms. Ghajar graduated with distinction from Tehran conservatory of Music and attended the Ecole Normal de Musique in France, Paris. Ms. Ghajar has also brought onto stage multiple Classical concerts through partnerships with United Nations Educational, Scientific, and Cultural Organization (UNESCO). Art University was Ms. Ghajar's classroom for almost 10 years where she educated, inspired, and engaged many in the art of piano. She has lectured and conducted master classes at Tehran art university faculty of Music. In 2001 Ms. Ghajar founded the Music of Time (MOT) to provide young children an opportunity to learn music leveraging natural aspects of human development, and also developed a unique combination of cognitive and social development, incorporating language development with Music. Ms. Ghajar's skills in creative pedagogy in music focused on young children for the last four decades keeps her in high demand. She joined Music&Arts in 2012 and is member of FLMF (Farifax-Loudoun Music Fellowship) and MTNA (Music Teachers National Association). Request Lessons with Shohreh Ghajar today!